Showing results by author "Roger Horchow"
Real friendships, that rarity in our modern life of casual attitudes and frantic schedules, are on the brink of extinction. This stylish and elegant primer on making and maintaining authentic friendships throughout one's life is the antidote. 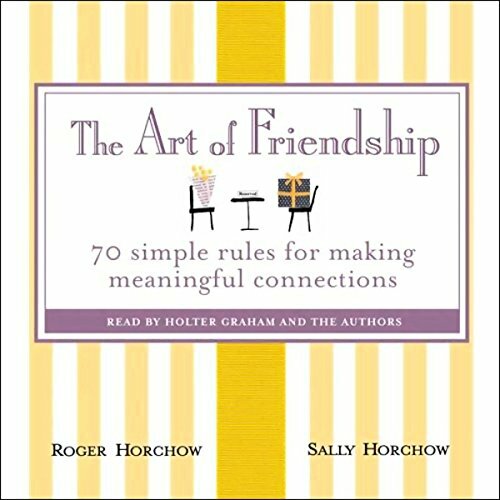 Thoughtfully composed by Roger Horchow, legendary retail magnate, and Sally Horchow, Roger's daughter, this audiobook explains how making true connections greatly enhances one's experience of life.